Did Kim Kardashian's Ex, Kris Humphries, Give a Woman Herpes? 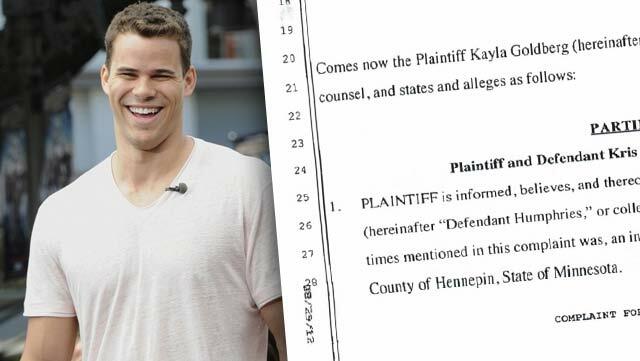 Kim Kardashian and her ex, Kris Humphries, have been battling it out in court for a while now, but it seems that Kris is facing yet another legal battle — and it’s one that Kim K. needs to follow. Now. Apparently, Kris is being sued by a woman who claims he gave her herpes! Kim Kardashian and Kris Humphries began dating in December of 2010, just a few months after Kayla Goldberg claims Kris gave her herpes. This begs the question that’s on everyone’s mind: Did Kris pass the STD on to Kim? She hasn’t weighed in on this latest bombshell, and she may not. Obviously this is pretty personal stuff!